One my favorite pieces I had last year was this sweatshirt dress, as I liked to call it. I wore it weekly and loved how comfortable yet stylish it was! During the Nordstrom sale, I spotted this striped sweatshirt dress and immediately added it to my cart! It was the piece I was most excited for from the sale and it fulfilled all my expectations! I have so many other ways I want to style it; with a puffer vest, canvas vest, or even tights and heeled booties to dress it up, this won't be the last you see of this! 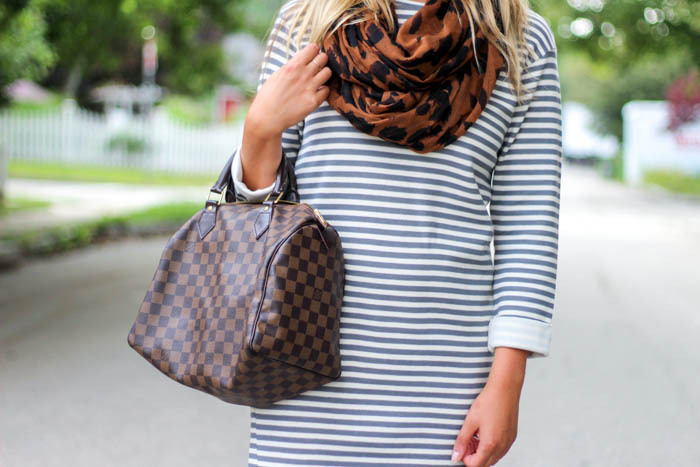 SHOP THE POST: Sweatshirt Dress / Old Navy Booties, Old (Love these similar ones) / Louis Vuitton Speedy / Similar Leopard Scarf also love this one! 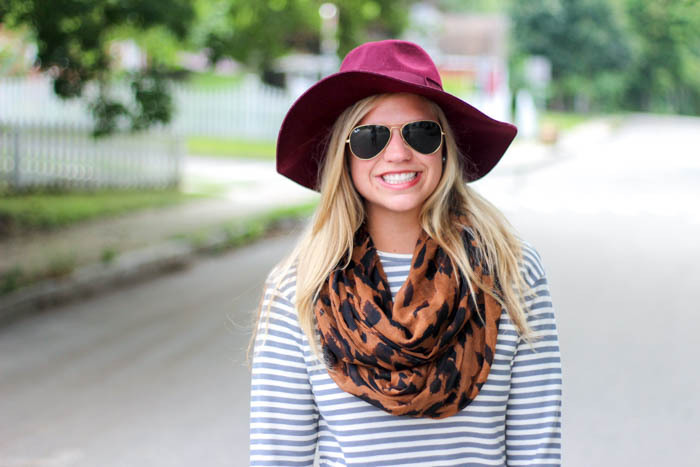 / Wool Hat also love this one! Disclaimer: Yes, it was 90 degrees when we shot this look and yes I was sweating but I couldn't wait to share! I got this dress this year, and I can't wait for temps to cool down so I can wear it. I'm now thinking I need a wool hat like yours to go with it.